Phuket is a large island of Thailand which is located in the Andaman Sea of the Indian Ocean. Tourists are attracted to year-round recreation near the warm sea and visiting the historical attractions of the island. Some people prefer quiet resting places on an island such as this Surin Beach. My friend sent me photos of colorful clouds. 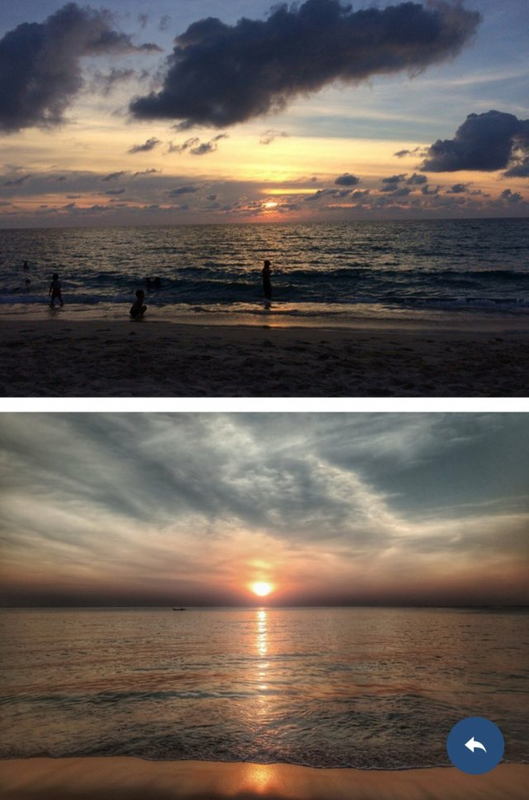 I am happy to share with you the beautiful sunsets of Thailand. I've never been to Phuket, but I've been to some other islands nearby. The thing a lot of travelers don't realize is that there are many islands in this area - a lot of choices. You can visit a less crowded less full of the drunk backpackers.